The Hope Public School District initiative to establish an effective response to Arkansas law regarding students with Dyslexia was reviewed March 11 by the HPSD Board, which also set its annual election to coincide with May state preferential primary voting. Karen Ivers, HPSD Dyslexia program coordinator, and Tina Smith, Dyslexia program specialist, explained that a change in Arkansas law in 2014 required school districts to screen students more comprehensively for indications of Dyslexia. Ivers said that research has shown Dyslexia to be further-reaching in public schools nationwide than previously believed. Working through a partnership with the Scottish Rite Hospital in Dallas, Texas, the Hope Public Schools participates in programs to provide services for students with Dyslexia. Ivers said the district attempts to reach the problem early. “Our goal is to get them in primary school, and get them served and taken care of,” she said. Once students are identified as either Dyslexic or symptomatic of Dyslexia, Ivers said each student is monitored to ensure services that offer the student the best chance for academic success. “We do what the student needs,” she said. Ivers said the condition occurs when the left side of the brain does not properly process language recognition skills. As a result, reading skills are literally turned backward. Ivers compared the condition to that off attempting to read a word or text in a mirror. She said in response to a question by Zone 4 Representative Jimmy Courtney that Dyslexia identified in athletes has shown to have a direct correlation to athletic performance in left-right designation activities such as football plays. Ivers said the Hope program attempts to provide a 1:1 correspondence daily between the student and intervention access. Zone 8 Representative David “Bubba” Powers, a former state representative, said he had worked in the Arkansas House of Representatives several years past to develop Dyslexia services programs for public schools, but there was little general interest. Power said he was concerned with the possible connection between Dyslexia and other conditions such as Attention Deficit Disorder, and how that affected academic success in students. “Research shows there might be external factors to Dyslexia in a child,” Powers said. National research has shown in recent years that as many as 20 percent of children of school age in the U.S. show signs of Dyslexia, HPS Superintendent Dr. Bobby Hart noted. “We need to find the resources to help,” Dr. Hart said. 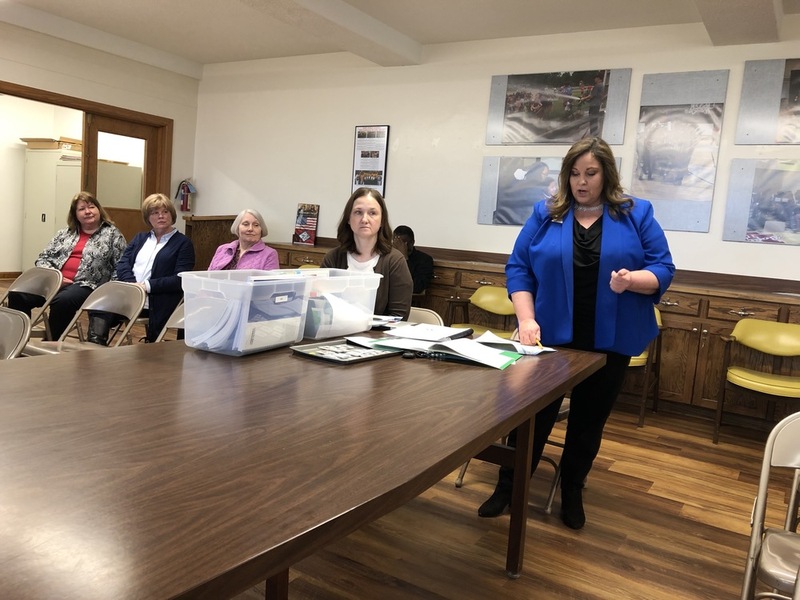 Also Monday night, the board voted to conduct its May annual elections by absentee and early voting only, as allowed by state law. Hart said the law makes that provision where there are no contested elections on the board ballot and no changes in a district’s tax millage is proposed. Zone 6 Representative Kathryn Dickinson and Zone 4 Representative Jimmy Courtney are unopposed for re-election. Zone 7 Representative Jesus Coronado has not sought re-election, and the Alvis Hamilton was the only candidate to file for election in that zone. Hart said Hamilton will be seated from Zone 7 at the board’s June meeting. The district’s tax millage of 34.7 mills also remains unchanged on the ballot, he said. --Adopted a proposed tax levy budget for fiscal 2020 totaling approximately $21.3 million, with a tax levy of 25.0 mills for maintenance and operations and 9.7 mills for voter-approved debt service, with 0 mills dedicated within maintenance and operations. --Accepted the recommendation of HPSD Transportation and Facilities Director Maurice Henry to purchase a school bus from state purchase services at a cost of $93,580, including air conditioning. --Adopted its annual McKinney-Vento Statement of Assurances regarding federal funds usage. --Approved personnel recommendations after a brief executive session. --Approved a facilities use request for the Yerger Middle School gymnasium from AAU Basketball for sixth and seventh grade boys and girls after school teams. --Heard a report from Hart that HPSD students have acquired about 500 credit hours for concurrent studies at the University of Arkansas-Hope this year to date. --Adopted a calendar for the 2019-2020 academic year. --Congratulated Hart on his selection to the Southern Arkansas University Educational Leadership Hall of Fame.